Whether you are starting a new job, transferring to a new school, joining a new club or have dreams of becoming an actor or a model, overcoming shyness is something everyone has to do at some point. You can be confident in who you are and what you have to offer the world as you teach yourself that shyness doesn’t have to keep you from reaching your goals. We have a few tips that can help you overcome being shy. Pay attention and learn from the way you make small talk with people you are already comfortable around. Also keep in mind that body language has a lot to do with how you are perceived and whether or not you seem approachable. Try to not cross your arms in front of your chest when talking with others. When you are in a room where you don’t know anyone, making eye contact and smiling helps you seem more confident. Sometimes if you look the role, it becomes easier to act that way! It can be hard to think of things to talk about when you are in a situation where you aren’t completely comfortable. Think of a few conversation starters, whether they are compliments or questions, to keep on hand. Learn by watching how people you look up to do things. Pay attention to how others work a room and meet new people and see if there are any traits or conversation points you can pick up on. You are not the only person who deals with shyness. Many people often have the challenge of meeting new people and overcoming uncomfortable situations. 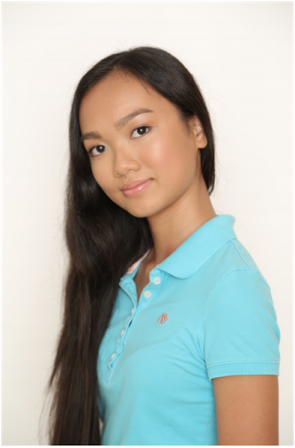 Want to learn more about Barbizon’s modeling, acting and personal development program? Schedule an audition to meet with the school in your area.